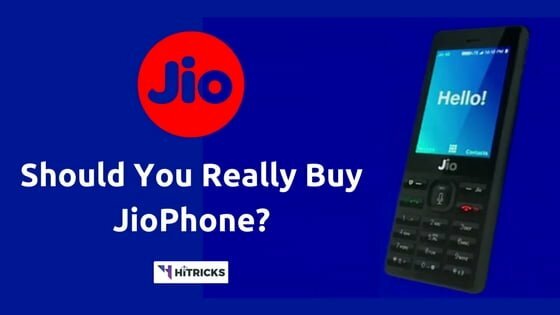 Home » Gadgets » JioPhone Features, Pros, Cons: SHOULD YOU BUY? 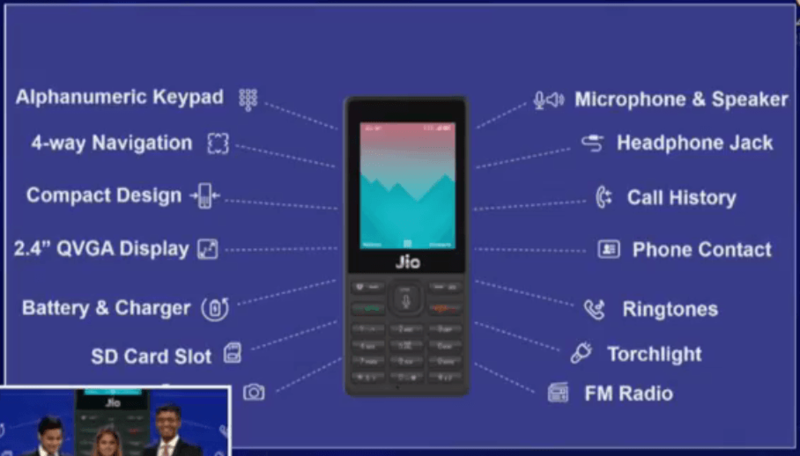 JioPhone, India ka Intelligent SmartPhone (India’s Intelligent SmartPhone) has been launched by Mukesh Ambani on Reliance AGM 2017, on 21st July 2017. It is a fully featured 4G VoLTE Feature Phone that can be used to even browsing the internet, voice commands, Jio Apps and more. Jio has been continuously topping the news since the last one year with disruptive offers and discounts for customers that created a breakthrough in the Digital Revolution of India. But, over the last year, it has only helped out 4G enabled smartphone users to achieve unlimited voice calls and unlimited internet for a cheap rate. But the mass amount of general population who are still using feature phones, could not avail the benefits of Jio service. 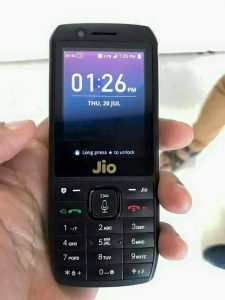 So, to help them out, Jio has now launched their latest technology feature phone, named as JioPhone. The elders of our house who are not using a smartphone, or don’t want to use smartphone, the people in the rural areas, the farmers who don’t get access to high speed 4G Internet, the laborers who don’t have much to spend on a smartphone, can now use JioPhone to avail the services of Jio Network. So, what’s in this JioPhone? 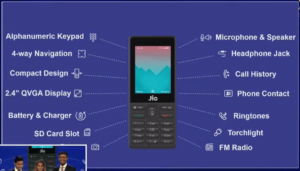 Let’s check out the JioPhone Features in details. Here’s a first look of the JioPhone that is circulating over the internet. It is the front of the device and looks like we got a Front Camera over there for selfies maybe. The Jio Logo can be seen. The JioMoney icon is there in the left menu button. And loooks like it is also going to support Video Calling. The Video Call button can be noticed there on the pic. Wow. Among the highlights of Jiophone, the 4G VoLTE Support will be native. So, yes, you can fully avail all the Jio Services including Free Calls, Unlimited Internet, Free SMS and also Jio Apps. Here are all the details. Jio 4G VoLTE Support with Jio Apps like JioMusic, JioCinema, JioTV, JioMoney and more. You can use this phone and take advantage of Jio services that it provides to all its users. JioPhone Supports Video Calling. This is amazing. Its just a feature phone and Jio is really pushing the barriers. JioPhone understands 23 Languages. JioPhone is made for Indians who may not be comfortable always with English. Keeping this in mind, JioPhone supports major 23 languages in India including English, Hindi, Tamil, Telugu, Bengali and more. Voice Commands: This is pretty similar to the Google Assistant or maybe the Amazon Fire TV Stick Remote, where you can use your voice to perform quick tasks. In fact, Jio has gone further and made it possible to do a lot of tasks just by using the voice. You can call or message anyone, open different settings, browse the internet, ask questions, type, play movies, play music, and pretty much more stuff, just by using your voice. What’s more, the voice search is not limited to English only; it understands your native language. I am not sure, but I guess it understands voice commands by all 23 languages it supports. This is a breakthrough for sure. Suppose you want to call someone named Arun, you can just say Call Arun, and it will dial automatically. 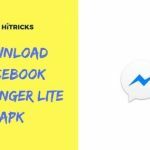 You can also message Arun, by saying the message. This is a fantastic feature. What I think is that elder ones or those who don’t understand the concepts of a mobile phone much can significantly benefit from this. The Emergency Button: JioPhone has created an Emergency button for the users. Long pressing the button ‘5’ will trigger the Emergency response. You can set a contact of urgency, and then, if you long press ‘5’, it will send an sms to your Emergency contact with your location, exact latitude, and longitude. This may be helpful for security purpose. Also, they have declared that they will incorporate other security features, like connecting and alerting the Local Police Station, etc., from the phone itself, in the upcoming months. Fingers crossed. NFC Support for Secure Payments: JioPhone will soon get a software update that will enable NFC on it, allowing users to pay with their JioPhone. You can connect your Bank Account, Jan-Dhan Account, UPI Account, and even Debit and Credit Cards. So, you can use them to pay online for any recharges or shopping or just about anything. These are also not found in a regular feature phone, and these make it more like an intelligent device. The JioPhone – TV Cable: This is also interesting. The JioPhone just as a 2.4-inch QVGA Display, which may not be the best device to enjoy Movies and TV with the Jio Services. 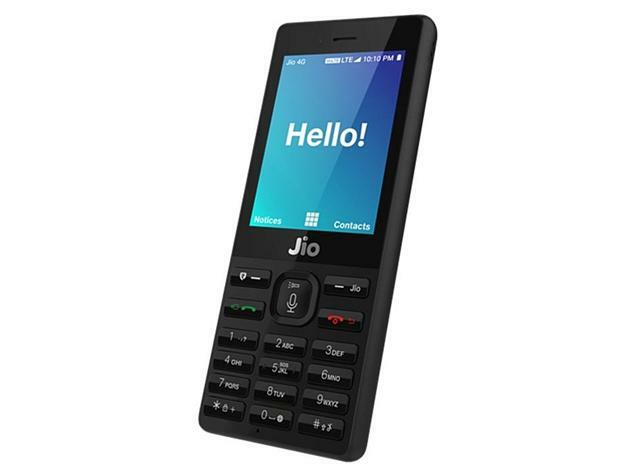 To help with that, Jio has made a special JioPhone – television Cable that can be used to connect with any Television and enjoy multi media on a big screen. And a point to note, the JioTV Cable supports just any TV, not only new HD and Smart televisions but also the older ones. Ahh! Not that bad. Okay if you want to know about full specifications about JioPhone you need to wait for it because the full specifications are not updated yet. But, well, just a few features are revealed as of now. Check them out below. Regarding Display and Screen Size, it will have a 2.4-inch QVGA display. The look and feel of the feature phone you can see from the picture above. It looks quite familiar like other feature phones. It has an alphanumeric keypad with 4-way navigation. It has a 512MB RAM and 4GB Internal Memory. It supports external SD Card, so you can always listen to music or watch videos on that. It also has a rear camera of 2MP (not confirmed yet, will update after confirmation) that you can use to take pictures if you want. For a screen size so small, the camera won’t be disappointing. The front camera is 1.2 MP, which is again not confirmed. FM Radio lovers, it has that option too. So, wherever you are, you can always listen to FM. The phone also has a 3.5mm Headphone Jack where you can plug in your headphones. Those who like listening to music with speakers, it has one of the best quality speakers with high volume that enables you to look better. And no, this is no ordinary speaker, the music output quality will be good. Last but not the least, it has Torchlight, one of the most useful features of feature phones. We are eager to know about the battery capacity, as that will decide how long will it last. I hope it has at least 1500mah battery so that it lasts at least two days. But that is not confirmed yet; no official news has been announced regarding the same. Another thing, I guess apps such as Facebook, WhatsApp, YouTube, etc. will be preloaded on it. Banking apps will also be there, as they are making it more useful. JioPhone Price: Is JioPhone Free of Cost? The cost of JioPhone is Rs1500 only. Wait, didn’t you hear it’s free? Well, it is not free. But they are advertising it as an effective price of Rs0. You pay Rs1500 to buy it, and after 36 months of using it, if the phone remains in proper mint condition with little to no scratches and all buttons are intact, and everything is in 100% working condition, then only, you can return the phone and get back your Rs1500. While this seems interesting as well as attractive, you should keep a note of 3 things. Firstly, I don’t remember anyone using a feature phone for three years with ZERO HARMS to the device.And don’t think you will be getting to return the device with some parts damaged. I can confirm that when you buy the JioPhone if you read the return and refund terms and conditions you shall find that the phone should be returned in 100% working condition. Secondly, let’s consider you manage to go on for three years with perfect condition, then, would you still want to return it? I mean, if you are getting unlimited calls and data in cheap rate, why would you want to return it and stop that? Thirdly, to return it after three years, you shall have to use their service for three years. And if anyone is dissatisfied in the middle, and quits Jio recharging, then he is already out, he can’t return the phone. So, let’s Cut the crap. Don’t live in the illusion that JioPhone is going to be free. No, it is not. You are paying Rs1500 right at the time of buying and you know you can’t return the phone (or you don’t want to return it), then there’s no point thinking it’s a free phone. Nope. It’s not! However, Even in Rs1500, it’s a Steal Deal. The number of features packed into the device is immensely helpful. So, yes it is a good phone with a reasonable price. Okay, say you bought it. So, what about the Jio Tariffs? As you know, JioPhone is just a basic feature phone which lacks the advantages of a smartphone, and so, JioPhone users will not be able to use Jio Internet with as much efficiency as a typical smartphone user. So, charging JioTariffs equally for both Smartphones and JioPhones is not justified. Hence, Jio has announced a different tariff plan for JioPhone users. The Jio Dhan Dhana Dhan offer for JioPhone users won’t cost Rs309 per month, rather, it would cost Rs153 per month. In that, JioPhone users will be able to avail Unlimited Calls, SMS, and 4G Internet on their device. Rumors are spreading that there will be a daily speed capping after 500MB data usage, but I think there won’t be. Firstly, they did not announce any such thing like speed capping, and secondly, feature phone users won’t use the net as often as smartphone users. There’s not much data usage required for them. I mean, if a feature phone user is given the phone and asked to use it regularly, he might not spend more than 200-300MB per day. The data consumption on an Android device is more due to its background processes, sensors, etc. So, with that much data to spare, there’s no point introducing daily FUP there. However, let’s see. This is only my speculation. This is another interesting feature. Like I have mentioned earlier, Jio introduced a cable to connect to TVs to stream live TV or movies. To use this feature, users need to recharge with the Dhan Dhana Dhan plan of Rs309. This plan is similar to regular Dhan Dhana Dhan plan of Jio. You get 1GB of High-Speed 4G Internet every day. You can use that to watch at least 3-4 hours of video content. Jio introduced some Sachet Plans for those who want to recharge for a short amount of time. For them, there is a two day and seven-day plan available that provides the same features as the Dhan Dhana Dhan plan, with just different validity. Recharging this plans will give you Unlimited Calls, SMS, Internet and Jio Services for the specifed period. JioPhone Launch Date: How to Pre-Book your JioPhone? JioPhone is launching on 15th August 2017 officially. But you won’t get a hold of it before September 2017. Because there will be a beta testing from 15th August to 24th August amongst some trial users selected by Jio. 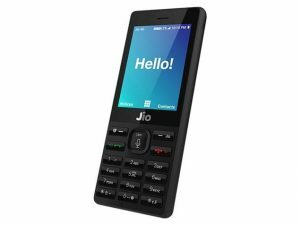 The pre-booking for JioPhone Starts 24th August. And the JioPhone starts shipping from 1st September onwards. However, knowing the amount of common mass Jio is targeting via this device, I am pretty sure there will be an even bigger queue for this device than what was for the free Sim card Jio offered. So, I guess, it will take at least two more months to distribute JioPhones among everyone evenly. Don’t be disheartened if you can’t get it sooner. Coming to how to pre book it, you can pre book it right from Jio.com website or MyJio App after 24th August. Also, you can visit your nearest Jio Retailer or Reliance Digital showroom to pre-book the JioPhone and take it when it becomes available. However, offline registrations are going to be tough, as you may have already experienced what happened during the Jio Sim Registration. Queues were longer, and many people had to visit the stores a no of times before actually getting a sim. For the record, Jio will be manufacturing 5 Million JioPhones every week. And the mass Jio is targeting is of Billions (basically every Indian). So, you can pretty much imagine that it will take many months to fulfill the demand. It won’t be easy to get a hand on it. JioPhone Analysis: Should you buy it? Here comes the big question: Should you buy the JioPhone? No matter how sweet it seems or how attractive it feels, does it fulfill your necessity? Let’s analyze. Firstly, the Phone isn’t free, which I have already discussed under the cost of the phone heading. The 100% refundable security deposit looks more like a gimmick than what it is. But I am keeping that aside, as, just for the price of Rs1500, it offers pretty decent features. So, on the cost factor, it is a win-win for all. Now, it is offering unlimited services for Rs153 a month. The best benefit you can get from it is calling and SMS. Because not many people use feature phones for the internet. If you want to study about some topic or download some pdf file, you won’t consider using JioPhone for that. But, thinking about the financially underdeveloped mass of users, living outside the main cities, they would inevitably become benefitted with it. Also, elder ones who reject using smartphones can use it for their daily life and listen to music or watch videos from it. It is not something fascinating, but it is indeed a way to reach out to those people who do not get to spend hours on a smartphone or computer like us. For them, this phone will act as a digital link. So, I can’t deny it would be a perfect feature phone. Also, those using basic 4G Device without native VoLTE support, for them, JioPhone will be a relief, as they can finally call others without keeping the internet on. This will further help them out. But, for users who are already using a smartphone with VoLTE, I don’t see any reason to switch to JioPhone. Again, if JioPhone has a better battery life, that can last say up to a few days without charging, then it is again a good deal to consider. Ultimately, a phone with internet connection and unlimited calls and a good battery is useful for everyone. Lastly, many people asked me, whether the phone has Wifi or Wifi Hotspot. While it is not confirmed yet, I can say for sure that it does not contain that. So, you cannot share your Jio Data to other devices, if that is what you intend to do after buying JioPhone. So, it is your call. If you choose to buy JioPhone, then, to keep it running, you need to use Jio services only; you cannot put any other Sim card into it. And so, if Jio network in your area isn’t strong enough, then you might want to give it a second thought about buying it. Remember it is a CDMA device where you cannot change sim card according to your wish. I hope I am clear about all the sides you might want to consider before buying it. Think wisely. YOU MAY ALSO LIKE: PC SAVING TIPS: How to protect yourself from the deadly ‘Ransomware’ Virus? You know what scares me the most? It is that currently there are so many smartphone users on Jio Network that in many areas, the network speeds aren’t much good. While we are hoping Jio improves and strengthens their network, this JioPhone is probably worse for us high-speed internet users. There are more than 5x feature phone users than smartphone users in India. Think if everyone comes under Jio network, then, what will happen to the connectivity. Gone are the days when I used to get 70-80Mbps right in Kolkata with the Jio Preview Offer. Now the speeds in that area I tested is 7-8Mbps (that’s a ten fold drop). And the place where I stay the speed currently is poor, below 1Mbps. So it’s high time Jio fixes it and makes their network stronger. Else, to support all Indians, it will lose its speeds, which is the main factor of 4G. Right now, what we are getting, is sort of 3G only. Sometimes, even below that. This needs to improve before more people joins in. Fingers crossed. Thanks for reading my post on JioPhone. I hope I was able to clarify all your doubts. Do share this post with all your friends. It will be indeed helpful for them. Use the social share buttons below. If you have any queries or just want to say thanks, you can do so from the comments section below. I will be happy to help. That’s all for now. I will be back soon with another exciting update. Till then, stay tuned! 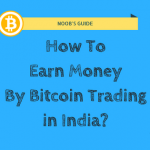 NOOB'S GUIDE: How to Earn Money with Bitcoin Trading in India? By far.. the most unbiased review i have seen.